TitanHQ has announced a new partnership with Middle-East based cybersecurity firm Zservices. The new collaboration will see TitanHQ’s enterprise anti-spam solution – SpamTitan – pushed to large organizations based in the Middle East, Africa, and India. The new partnership deal was announced during Enterprise Ireland’s trade mission to the Kingdom of Saudi Arabia and the United Arab Emirates. TitanHQ was formed in 1999 in Galway, Ireland and has fast grown into a global cybersecurity solution provider with more than 75 partner offices worldwide. Over almost 20 years, TitanHQ has developed a deep understanding of the complex threat landscape and has developed a range of cybersecurity solutions to protect organizations’ networks from increasingly sophisticated web and email-borne threats. TitanHQ has enjoyed tremendous global success with its anti-spam and web filtering solutions. The affordable, subscription-based security solutions are powerful tools that keep enterprise networks secure from web and email-borne threats. 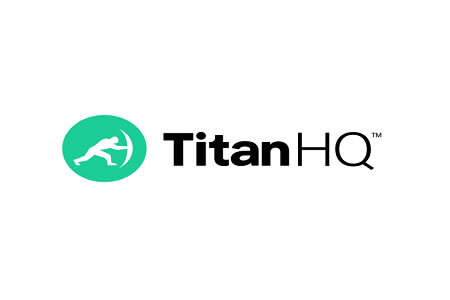 TitanHQ’s SpamTitan, WebTitan, and ArcTitan product suites are now used by more than 6,500 business customers spread across 129 countries around the world. Zservices is a cybersecurity powerhouse in the Middle East, North Africa, and India with strong partnerships with a host of national telecoms providers. Zservices provides organizations with a wide range of cybersecurity solutions, and being the only company offering cybersecurity-as-a-service in the Middle East, the firm is ideally positioned to increase the reach of TitanHQ in the Middle East and beyond. The new partnership deal has seen Zservices add SpamTitan to its cloud infrastructure and the enterprise antispam solution will be pushed to companies throughout North Africa, the Middle East and India. Zservices will be concentrating on providing the new antispam solution to government entities and large enterprises in the technology, telco, communications, pharmaceutical, retail, and education sectors. The partnership was welcomed by Charlie Flanagan TD, the Irish Minister for Foreign Affairs and Trade.